I’ve complained (bitterly and often) about the hated specter of GRAIN WHISKY and the ruinous effect that it has on our lovely, pure single malt when blended by greedy profit-seeking conglomerates in their quest to dull the palates and wash the brains of innocent bar-goers the world round. *cough* Turns out that’s only half-true. Grain whisky is a distilled spirit made from corn, wheat, or unmalted barley. Like all distillates, ‘grain whisky’, when it emerges from the stills, is a rough and largely flavorless clear spirit of very high ABV (upwards of 70% to 80%, depending on the type of distillation). It’s effectively vodka, and tastes like it. The only difference at this point between malt whisky double-distilled in a copper pot still, and grain whisky distilled in a column (or Coffey) still is that the malt whisky has reacted chemically with the copper in the still (and undergone reflux due to the shape of the still) to produce volatile compounds and esters which render it more subtly flavored. It’s not until these spirits spend a period of time in oak barrels that they begin to take on the properties that we associate with the brown spirit: whisky. In the case of malt, a bare three years will render it light and flavorful and only a little bit “raw” or “young”-tasting. Twelve years will make it robust and flavorful, and eighteen or more years will make it sublime. The case is more or less the same with grain whisky, with one difference: It takes a lot longer in an oak barrel to make the stuff palatable! Respected bloggers and writers have set this age around 17 years. Around that point, the grain whisky becomes ethereal and sweet, and is able to balance malt in a blend to the benefit of both components and the enrichment of the whole. Herein lies the misconception. When you order a blended scotch whisky at a bar, you are not getting 17 year-old grain blended expertly with malt. You are getting a three year-old grain blended (to maximize profit) with a six to ten year-old malt. The blend has been carefully calculated to both save money on expensive malt whisky and to standardize the taste of ‘scotch whisky’ – not too light, not too sweet, and not too smoky. Not too interesting, either. Nose: Pine needles and pine sap. Eucalyptus. Underneath is a layer of marshmallow and fresh hay. Very light and herbal. Palate: Creamy! Very milky texture. Little mouth burn. Flavors emerge of spun sugar, freshly-mown grass, homemade marshmallow, and malted milk. Finish: Medium-long. Sugary, like blue cotton candy melting on your tongue. Somewhat one-dimensional. Overall: For twelve years of age, there isn’t much complexity. The exceptionally creamy mouthfeel was a plus, as was the interesting herbal note on the nose (which never reasserted itself in the mouth). Flavor-wise, there isn’t much going on beyond sugary sweetness. A very interesting experience, though, to see what single-grain is all about. Grain whisky (aged 12 years and carefully selected, in this case) smells herbal and floral, is very creamy/milky in texture, and tastes like various kinds of processed sugar. This makes sense when compared to some of the better blended whiskies I’ve had, which always had an unmistakable creamy texture, and were generally sweeter than equivalent malts. The lesson here is clear: that we shouldn’t turn our noses up at a blended whisky if and only if its grain component has been aged sufficiently to remove rough traces of paint-thinner and vodka. If you’re paying less than $40 a bottle, you’re asking for the cheap stuff. 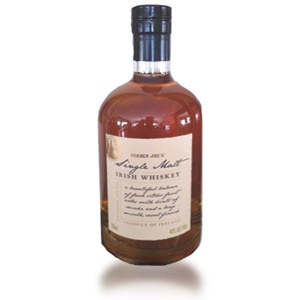 Note: As pointed out by a reader in the comments, the term ‘grain whisky’ is very misleading. In the Scotch Whisky industry, the term (as defined by the SWA – Scotch Whisky Association) means a whisky (aged in oak) distilled from any combination of cereal grains. If only malted barley is used, then it can be referred to as ‘malt whisky’. A ‘blended whisky’ contains both, in any proportion. Very good point. 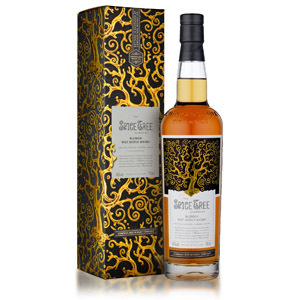 I was just drinking Compass Box Hedonism the other day – which is composed entirely of higher end coffey still distilled grain whisky – and it is bright and light and sweet and elegant and is perfectly fine sipping whisky. The problem with the grain whisky in cheap blends is, as you so correctly and eloquently point out, that it’s CHEAP young unpolished grain whisky that’s ruining the show. Thanks for clarifying the waters. Nathan, the other point to make is that two big factors in the ultimate taste of grain whisky are distillation strength, and contact with the wood. Scotch grain whisky is distilled up to 95% pure alcohol, whereas the bourbon-to-be by law cannot exceed 80% when distilled, and 62.5% when stored in the barrel. Higher distillation strength equals less taste. Higher strength in the barrel means less wood contact, per alcohol proof. Many drinkers of Scotch are missing this point, and dismiss bourbon (indeed, American whiskey in general) with the same sweep of the hand as they do Johnny Walker red, but the two are obviously very different animals. 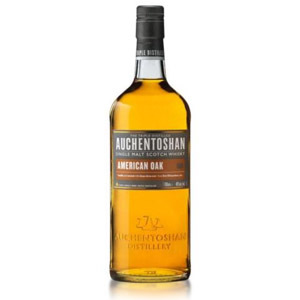 In other words, Scotch grain whisky is often vodka in a barrel, but the American is not. I’ve tried three different grain whiskies, Hedonism, North British 30yo, and the NB 50yo. All are fairly expensive, which ties into the last sentence in your post. They’re also really good. Hedonism and the NB50 are the two I like the best. The North British 50yo is like a very light bourbon, just fantastic. Joshua already sang the praises of Hedonism so I’ll let that be. @Mantisking, I’ve actually not tried the Hedonism – I’ll do so next time I find a sample. 🙂 This is indeed a tricky subject, because grain whisky is a point of conflict between single-malt purists and general drinks enthusiasts. I wholeheartedly agree that grain whisky (made well and aged for enough time) is a tasty, light spirit which can complement malt to create blends that can achieve flavor profiles that malt alone cannot. That said, it really bothers me when people (on forums and other venues) use this fact to defend the drinking of bottom-shelf commercial slop. ie – “My Johnnie Walker is a quarter the price of your fancy single malt, but grain whisky gets a bad rap and is just as good as malt!” In fact, it appears to me that the cheapest possible ‘good grain’ (by itself or in a blend) is actually MORE expensive than the cheapest possible ‘good malt’. Some inexpensive malts are really quite good, while ALL inexpensive grain blends are paint thinner. I happen to have tried a Signatory North British bottled in 2006 recently, and can find myself in your notes. 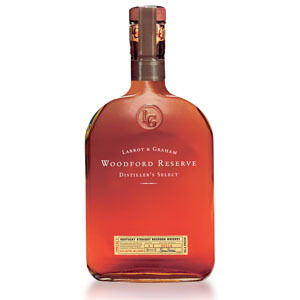 It was very similar to some recent Makers Mark bottlings I tried. @Florin: I agree with you on the bourbon-part. However, my experince with single grains is that (maybe because so little is bottled as such) they are generally pretty good, and not wodka-in-a-barrelish at all. Use of “grain whisky” in this context, while understood by scotch drinkers, strikes me as being a remarkably terrible choice of words. It suggests that somehow barley (albeit malted before distilled) is somehow not a grain unlike corn, wheat, rye or Buckwheat. Of course barley is a grain as are the others. In contrast nobody supposes that potatos from which spirits are also distilled is a grain. It is even more misleading than the vatted malt issue of a few years ago. The ingredients list barley as one of the seven grains. Imagine how confused consumers would be if Kashi tried to explain that barley really was not a grain here? It’s SCOTLAND, not North Britain! I’ll stick the heid on ye! Can you please remove my e-mail details, which are visible on the “leave a reply section” every time I visit your pages? Thanks. Your email details are not publicly visible. To verify this for yourself, use another browser or another computer to visit the page. Only the “Name” and “Website” fields are visible to others. The notion that “grain whisky” is somehow defined or equates to “column-stilled” at “high proof” (eg 90+) is not true. There are any number of whiskies made from all forms of grains (including malted barley) that are distilled in batches in pot stills and which possess all the flavors inherent in that process. At the same time it is quite possible to use a properly set-up column still to produce distillate at lower proofs that are hard to distiguish from their pot-stilled brethren, using product pulled off at different levels in the column. Copper is not unique to either pot or quality column stills. Not all pot stills are copper, and not all column stills are stainless. In sum, we all should pay more attention as to how the so-called “grain whiskies” are distilled, and to what proof to determine their quality. Let’s not presume that all grain whiskies are mass produced. They aren’t. Hi Jimbo, Thanks for the clarification. You are, of course, correct… Redbreast is a good example of an entirely pot still distilled whisky that includes “grain” whisky (other than malted barley) which never sees the inside of a column still. Nevertheless, none of the fine products you mention are used in the Blended Scotch Whisky category, nor the Single Grain Scotch Whisky category, which is what the article was about. Bain’s Cape Mountain Whiskey is a nice single grain. Croí folláin agus gob fliuch! JW Red contains a large percentage of grain whisky (the rest is malt whisky from many different distilleries). The “harsh” elements could come from either the grain or the malt, since Red Label is on the cheap side of the Johnnie Walker range, and so they use the cheaper (usually the younger) ingredients. Presumably, if you take JW Red and age all of the components for many more years and blend it a little more carefully, you get one of the other Walker labels (like Blue). That’s an oversimplification because the recipe is likely different as well, but aging in oak casks is the best way to mellow out a fiery or harsh whisky – whether it’s grain or malt. >> When you order a blended scotch whisky at a bar, you are not getting 17 year-old grain blended expertly with malt. You are getting a three year-old grain blended (to maximize profit) with a six to ten year-old malt. The blend has been carefully calculated to both save money on expensive malt whisky and to standardize the taste of ‘scotch whisky’ – not too light, not too sweet, and not too smoky. Not too interesting, either. Newby, you really, really, really need to do some blind tasting to see if you can indeed confirm your cynical prejudices. If you cannot taste gross mashbill differences, forget blind, how can you be trusted in anything you write about the tastes of scotch and the evils of blends and the cureall worship of aging? Newby indeed.